This page is to help home owners and electricians understand what has happened over the past ten years with Part P of the building regulations. Some home owners I visit to carry out electrical installation work want to know. What qualifications do you need to be an electrician ? What does Part P mean ? Hope this helps. What is Part P ? Part P is another section of the building regulations that was introduced a few years ago to bring domestic electrical installation into the building regulations. In 2005 the Government introduced electrical safety rules into the Building Regulations for England and Wales. Because of this, some fixed electrical installation work in homes must, by law, meet the Building Regulations. Part P states that anyone carrying out electrical installation work in a home must make sure that the work is designed and installed to protect people from fire and electric shocks. Part P applies to any changes made to existing installations, including any parts that have been rewired. In April 2013 further changes were introduced, reducing the range of electrical installation work that is notifiable – removing some requirements in kitchens and outdoors. Click on the link below to download and read Part P.
What is a Part P qualified electrician ? A Part P qualified electrician may have attended a course at a local or private college covering Part P of the building regulations. This does not make them a qualified electrician. What is notifiable electrical work in homes ? Download the Part P document using the link above and read it carefully. Notifiable electrical work tends to be work that involves installing a new circuit from the consumer unit at the origin (consumer unit by your electricity meter). A new shower circuit, cooker circuit, sockets ring main or radial circuit. I want a new light installed in my lounge do I need a Part P electrician and certificate submitting to building control ? The work you describe is minor maintenance work that will not require submission to building control. 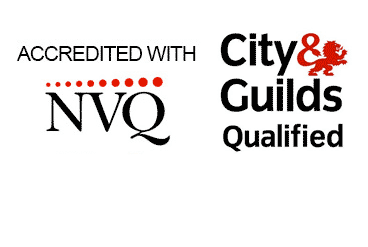 A qualified electrician will have all the relevant City and Guilds qualifications including an NVQ level 2 or hopefully level 3. A qualified electrician should also have the relevant experience for the work being carried out. Some electricians will have also served a full apprenticeship working along side qualified electricians. I am building a rear extension on my house and will need a new consumer unit and cooker circuit. I will extend the ring main circuit into the new extension, do i need to submit the work to building control ? Yes the work does need to be submitted via an approved body NICEIC, ELESCA or directly to building control who may instruct their own inspector or advise you about third party inspectors from STROMA or NAPIT. If we carry out the work it will be installed and submitted by an NICEIC electrician who will deal with everything for you and issue an Electrical Installation Certificate. If you were not changing the consumer unit or installing a new cooker circuit, just extending the ring main you would not have to submit (2013 new rules). 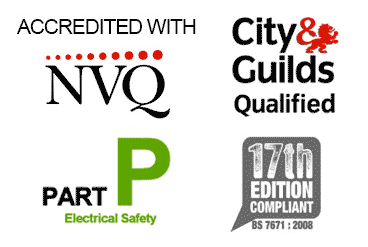 Why should I use a fully qualified electrician ? 230V electricity is very dangerous and can kill you and cause fires. Qualified electricians use calibrated test equipment to check their work after installation to make sure a good earth connection is present. Electrical installation is a craft and can only be learnt slowly gaining experience as you go. We always recommend checking your electricians qualifications before commencing work. Why are you not a member of the NICEIC, ELESCA or any other trade body ? It is not compulsory to be a member of any trade body to submit your work to building control. I carry out all inspection and testing using my own branded electrical condition report forms. I specialise in domestic electrical installation and Domestic Electrical Condition Reports. I use NICEIC registered sub contractors for all the electrical work that requires submission to building control. If I completely rewire a property then I will submit the work directly to Worcestershire Building Control or use an NICEIC electrician to complete the whole project. When you read Part P of the building regulations it states that you can use a third party electrician who can certify your work, this is the route I have decided to use for the next few years. The regulations are changing quickly at the moment, five years ago you needed to submit most of the work in a domestic property to building control. This changed and the majority of electrical work does not need to be submitted now. NICEIC and ELESCA are not offering a third party scheme which is one of the reason I am no longer with the NICEIC. The rules change so often. STROMA and NAPIT are offering the third party scheme. This means if your property does not have an electrical installation certificate you can contact a STROMA or NAPIT certified electrician. I may well be joining STROMA. Can I carry out electrical maintenance on my own home as long as I do not wire a new circuit. Can I add a fuse spur in a bedroom and add a socket to a ring main ? Download Part P and take a look. Extending an existing circuit and adding a socket is aloud (you do not have to submit the work to building control). But remember qualified electricians are also following BS7671/ 17th Edition of the wiring regulations and not just Part P. We would complete a minor electrical works certificate and use a calibrated test instrument (that could cost you £500) to test the completed circuit. Part P does not cover this side of things and is not even 10% of what electricans are doing. The load on the circuit needs to be calculated. The earthing and main bonding needs to be up to date before work starts. A residual current device needs to be installed on the sockets circuit…..etc. I want to replace a consumer unit with a new RCD MCB board. do I need my electrician to submit the work to building control ? Consumer unit replacement is one of the types of electrical work that needs to be submitted to building control. You can either employ an NICEIC, ELESCA or NAPIT registered electrician who can self certify their own work and submit it to building control or employ an electrician who uses a third party inspector to submit the work on their behalf. We use NICEIC third party electricians to submit consumer unit replacements on our behalf. If you have a question please use the comment form below and I will try to answer as soon as possible. If you disagree with any of the answers please leave a comment below. I have an existing shower that was installed using six millimetre square cable. I want a more powerful shower and need to replace the existing cable with ten millimetre square cable. Do I need to submit the work to building control ? The circuit needs to be protected with an RCD (Residual Current Device) and all main and supplementary bonding needs to be up to date. I would recommend completing an electrical installation certificate for the new circuit and submitting to building control as you are effectively installing a new circuit from the consumer unit. Always use a qualified electrician who will be able to calculate the load of your new shower, if the circuit is short and does not run through insulation you may be able to install a Mira 9KW shower (which is a good shower). The current carrying capacity of the cable is reduced when it is installed through insulation, grouped with other cables or installed in trunking. You need this calculation using 17th Edition BS7671 and someone who knows how to do it.